What was it about this man that has so intrigued us and that we still find fascinating more than 40 years after his assassination? 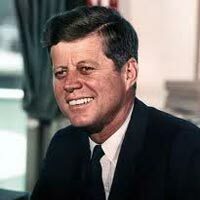 Jack Kennedy lived his life in a ‘big’ way, his philandering was legendary, the major issues that he faced in his 3 short years as President had an impact on the whole world … Who was JFK born to be? Why was he so loved and so disparaged?